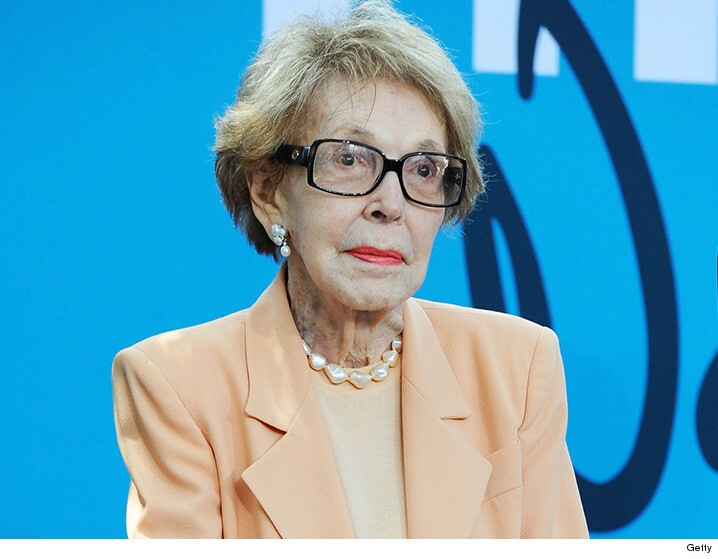 Nancy Reagan has died ... TMZ has learned from a close family member. The former first lady was living in Bel Air and has been in failing health in recent years. She died from congestive heart failure at her home. Mrs. Reagan married Ronald in 1952 and went on to became a First Lady who at first was severely criticized for her fancy taste -- particularly in china -- but went on to become beloved, along with her husband. She'll be buried next to her husband at the Ronald Reagan Presidential Library in Simi Valley. Nancy was a former actress who starred in B movies, before meeting her future husband. She was fiercely loyal to Ronald and extremely protective, often getting in his ear about White House staffers she thought were less than loyal. In one famous moment during Ronald Reagan's presidency, he was asked a difficult question and Nancy whispered an answer, "We're doing the best we can." During her time as First Lady, she created the "Just Say No" to drugs campaign.